I've got a few more designs for tea towels in the works, just in time for a couple of Christmas sales being planned. The talents of Fly Freeman abound. As well as working as a stone mason, sculptor and lettercarver, she also creates beautiful jewellery under the name "Mouche Couture" (sweetly named, the french 'mouche' translates to 'fly' in english). When Fly asked me to create an identity for her work I jumped at the chance. Her jewellery often combines fabric and stitching, so that, combined with her unique name, seemed an obvious starting point for a playful visual pun. 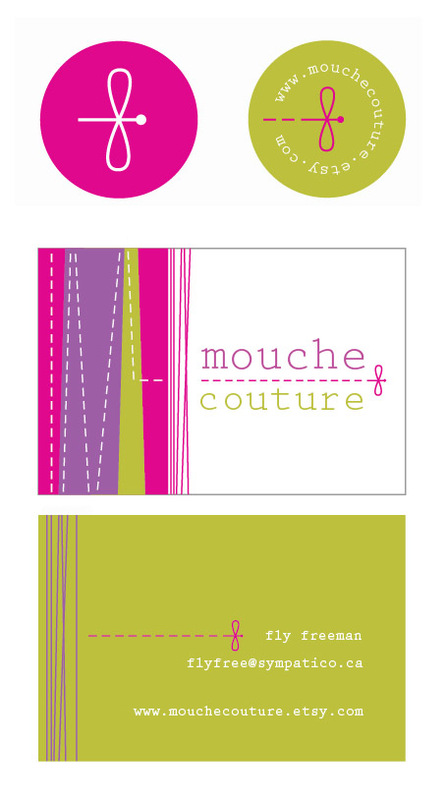 Coming soon, Mouche Couture on Etsy! Hot off the press from Six Cent Press in Vancouver, these adorable little buttons certainly brightened my day when they arrived! 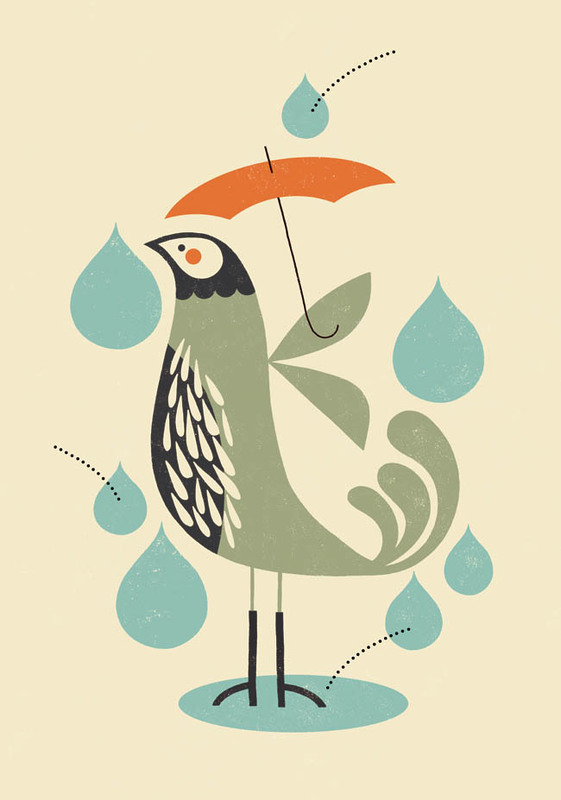 Upload your designs, and they take care of the rest. Grab 'em while you can at this year's Uxbridge Studio Tour, sept. 15 & 16th, 2012. This is one of my favourite new magazines to hit the shelves. 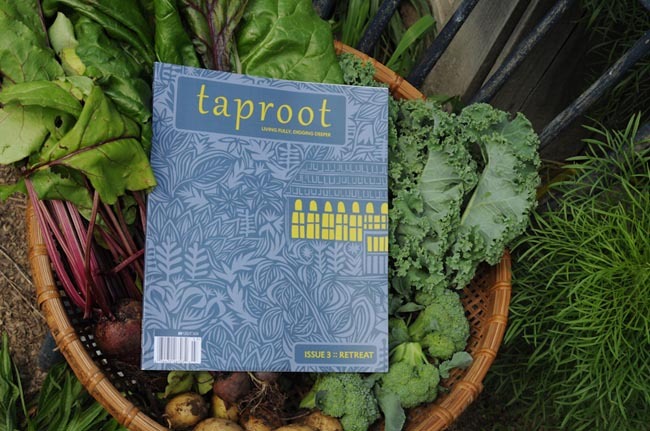 Taproot is a beautiful, thoughtful, quarterly publication that celebrates local living through writing, photography and the arts, both fine & domestic. I have had the pleasure of working directly with it's editor, Amanda Blake Soule, who also shares her world as Soule Mama in her numerous books & blog. My illustration (below) appears in the current fall issue, aptly titled: Retreat, and accompanies a lovely piece of writing. The story captures the precious moments of connection between a father and daughter as they share through storytelling.